Image-Tec’s Tom Grassi making adjustments to the high resolution scanner. I recently became a new artist member of the Greater Haverhill Arts Association (GHAA). And as a result had the opportunity to go on an informative field trip with them to Image-Tec Methuen MA. Notably Image-Tec is a full service commercial photography studio. Accordingly they have a variety of state of-the-art equipment. Image-Tec’s Tom Grassi and Jean Abate put on a special demonstration focused on their high resolution scanner and giclée prints. Giclée (pronounced “g-clay”) prints are fine art digital prints. The process uses pigment based inked printed on archival quality paper and canvas. The prints are light-fast, stable and archival. Adobe Photoshop software was used to color correct the scanned image. The demonstration included scanning and color correction. Moreover a raffle was held to select 2 members to have their artwork scanned as part of the demo. In fact, I am happy to say that I was one of two lucky GHAA members to win the raffle to have their artwork scanned. Also, I received a archival quality giclée print on canvas of my painting. As shown above, I chose my oil painting “Breezing” for the demo. 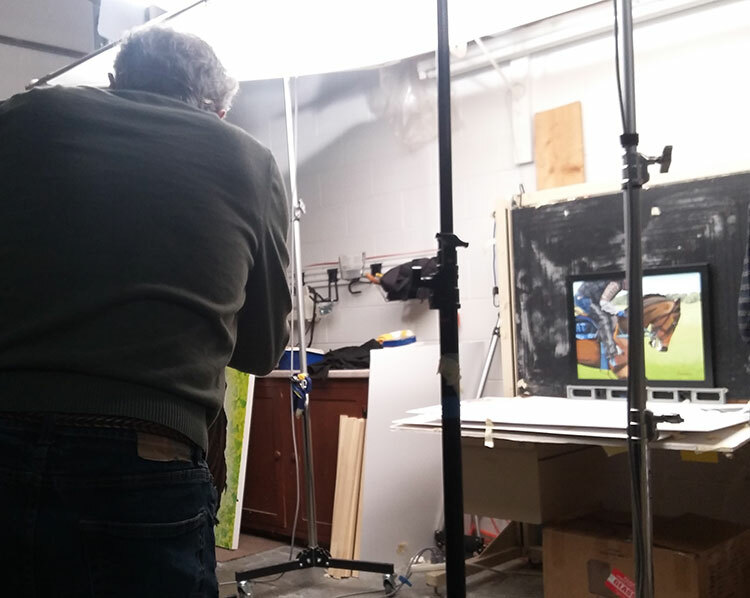 The demo began with the lights being adjusted overhead to get the best light on the painting. Next the image was scanned with their high resolution scanner. After that the scan was then brought into the computer and opened in Photoshop. During that time Tom and Jean worked together to color correct the image. 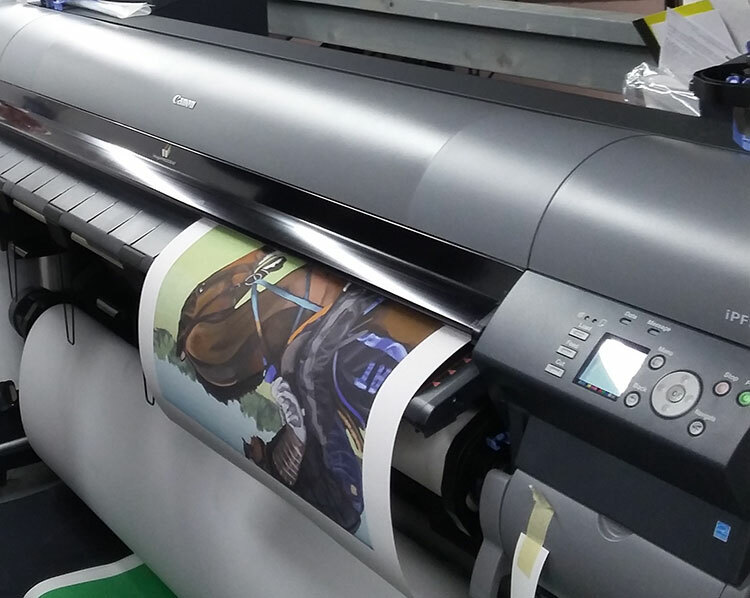 The giclée in the process of being printed. The image was sent to the printer after they were satisfied with the color. The printer they used can output canvas prints in very large sizes. My husband and I had a wonderful time with members of the Greater Haverhill Arts Association. Many thanks to them, and Image-Tec’s Tom Grassi and Jean Abate for sharing the time and knowledge. As well as for the lovely complimentary giclee canvas print of my painting. I highly recommend Image-Tec, a full service commercial photography studio. For more resources visit our Community Resource Page.